Yes. 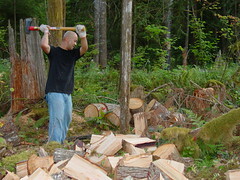 That's me chopping firewood. Cue the fiddle and the banjo. Got my bloodwork done . . .